Under-performing Pakistan captain Sarfraz Ahmed denied his team has any fears of losing the series when they take on a confident Australia in the second Test starting in Abu Dhabi from Tuesday. Pakistan have only lost one of their two series in the United Arab Emirates since it became their neutral venue following attacks on the Sri Lankan team bus in March 2009. That came against Sri Lanka last year. Pakistan let go a golden chance of taking a 1-0 lead in the two-match series when they failed to get the last two Australian wickets on a fifth-day weary pitch, giving some kind of advantage to their rivals. But Sarfraz, who is also under pressure for lack of form with just 74 runs in six Test innings, showed a brave face. Sarfraz told that the team is up for the challenge and refused that his team would be under pressure. 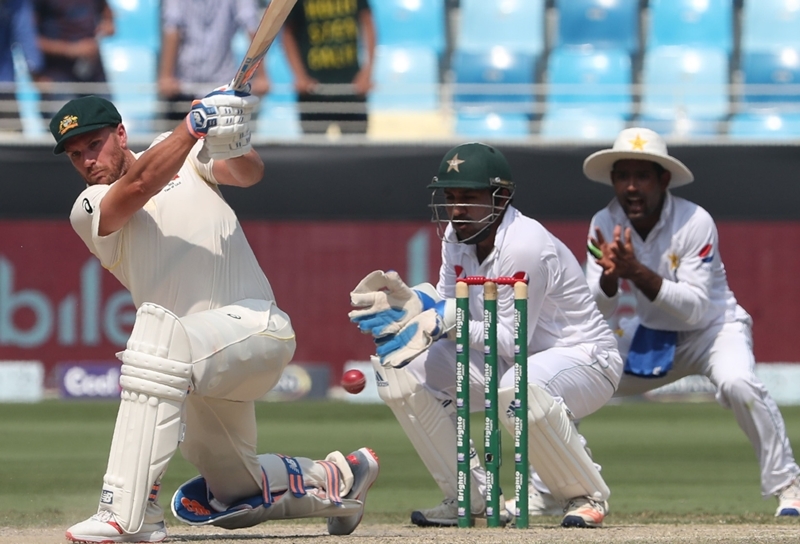 ” There is nothing like that and you would see that with the way we played the first Test,” said Sarfraz. “Throughout we played good cricket but unfortunately we couldn’t get across the line. However, the team morale is high and batsmen have scored runs and bowlers have also taken wickets. 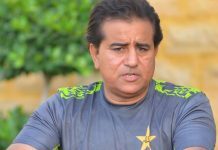 Sarfraz announced dashing opener Fakhar Zaman will replace the injured Imam-ul-Haq while Shadab Khan or Mir Hamza will replace out of form Wahab Riaz in the second Test. Snatching a draw from the jaws of defeat has given a lease of life to Australia and their skipper Tim Paine hoped his team can win their first series in Asia for seven years. Australia are likely to keep the same eleven from the first Test after Paine hinted paceman Mitchell Starc will play. Paine said Pakistan were still a dangerous side to beat, with good batsmen and bowlers in the ranks. “They are a very good team. They have go clearly some good batters, particularly in these conditions. Their batters are prepared to bat through a long time, something that we are still working at, particularly over here. Australia will hope their openers Aaron Finch and Usman Khawaja keep the same solid batting stylke as they did in the first Test, scoring 142 and 87 for the first wicket. It was Khawaj whose 85 and 141 stood out, helpoing Australia to draw. So the pressure will be on on Pakistan, Australia will go happy even if they lose 1-0.